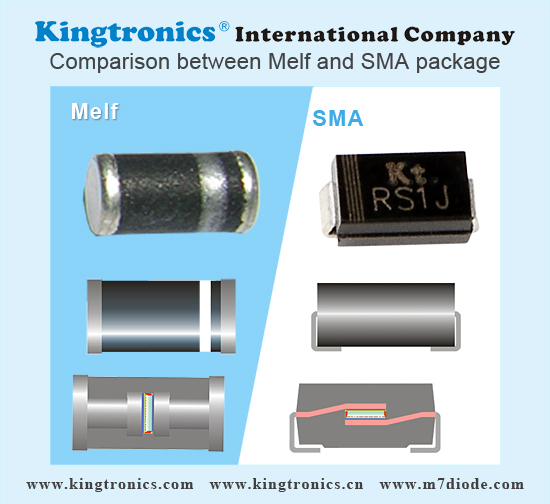 Do you know what’s the difference between Melf and SMA Package? Let us take a comparison, you can easy to get features of them. Please refer to the below table. 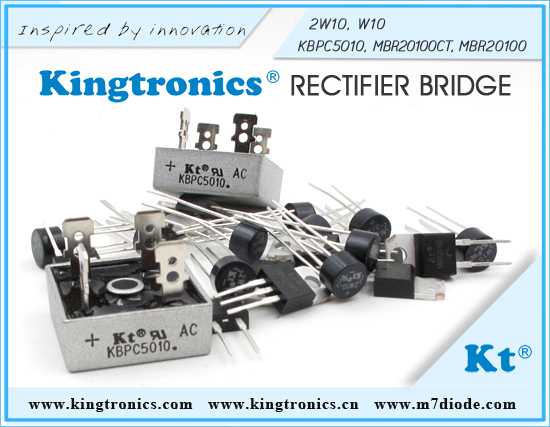 Kt Kingtronics shares you Bridge Rectifiers common Symbols and Terms. 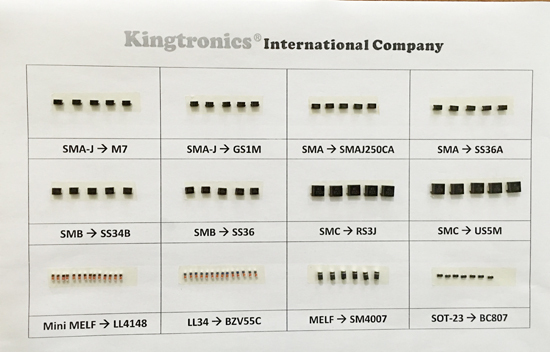 Please check it in the below table, it may be useful for you. 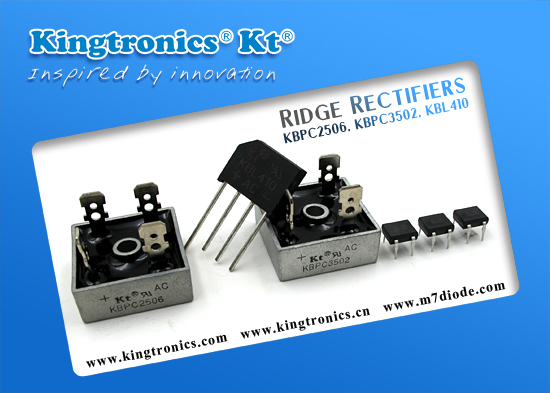 If you want to get more knowledge, welcome to contact our sales, we are willing to help you and we are at your service all the time. 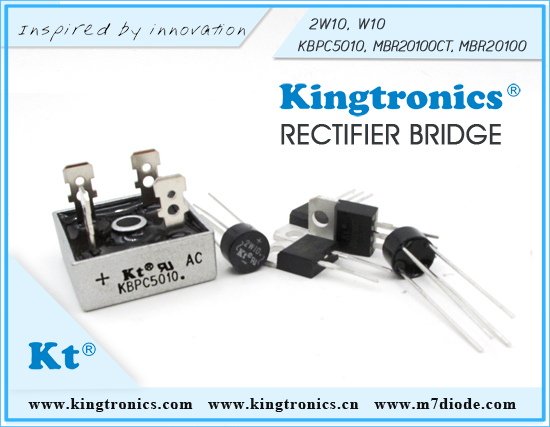 Kt Kingtronics Bridge rectifiers are widely used in Lighting, ELE POWER, Consumer Electronics, Communication Device and so on. 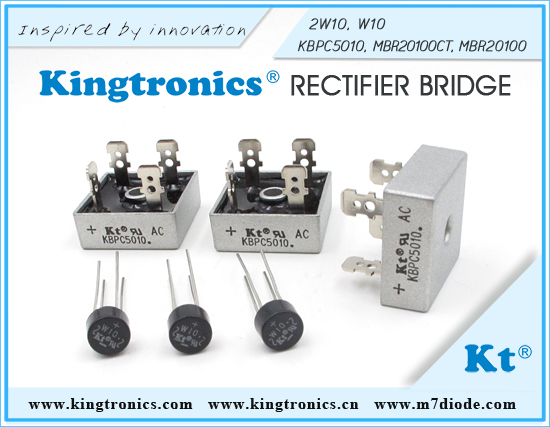 Here, we will introduce Bridge rectifier in Consumer Electronics. 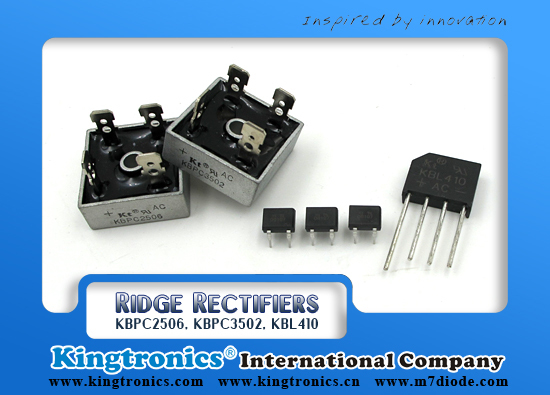 With the advent of technology and the development of new products and applications, the product like digital cameras, mobile phones, PDA are also becoming an emerging consumer electronics. 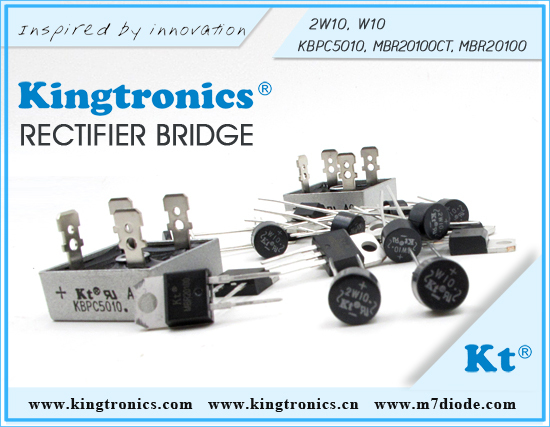 Do you know what information is contained in type number of Kt Kingtronics Bridge Rectifiers? 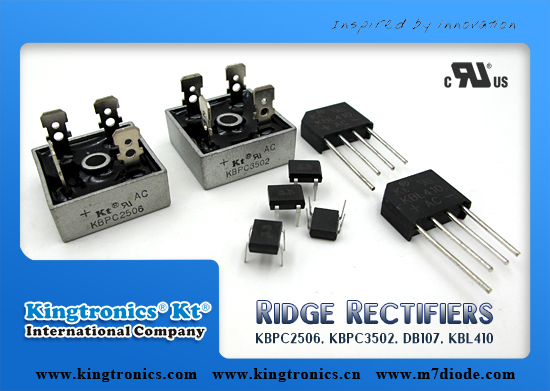 Usually the uppercase letters of Bridge Rectifier represents package style, the latter two or more figures stand for the rated voltage. 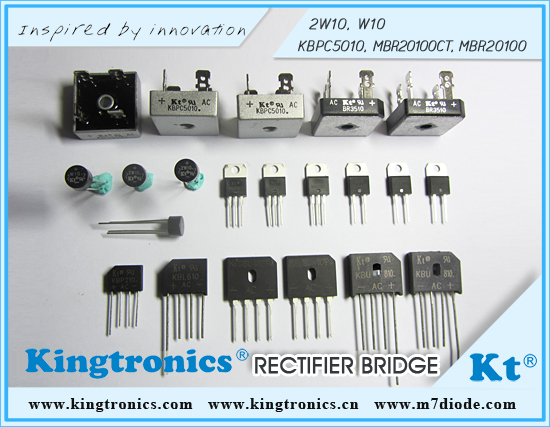 DB101-DB107, DB101S-DB107S, MB1S-MB10S, KBL4005-KBL410, KBU6005-KBU610, KBP2005-KBP210, GBU4005-GBU410, GBJ6005-GBJ610, KBPC25005-KBPC2510, KBPC25005W-KBPC2510W, KBPC35005-KBPC3510, KBPC35005W-KBPC3510W.